The all new SIROCCO 2 features a long list of technological improvements in handling, stability, and efficiency. The light concept has proven to be revolutionary in PPG, and this new version is a more agile and efficient wing, with even more speed for the new generation of PPG pilots. The SIROCCO 2’s ease of launch and unique flight characteristics make it another game-changer in the PPG world. Based on the SPEEDSTER 2, the SIROCCO 2 features a faster top speed than its predecessor. Reduced line drag and an optimised profile have made this new wing an incredible tool in accelerated flight. In addition to the increased speed, the SIROCCO 2 is more efficient, requiring less fuel and less power to maintain top speed. 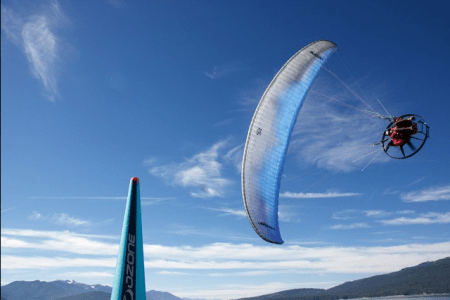 The OZRP shark nose profile, along with the modified aspect ratio and optimized internal structure, has sharpened the handling, increased the inherent stability, and improved the sail cohesion – all of which means that the wing is easier and more forgiving to fly, especially in turbulent air. The SIROCCO 2’s light weight sail further amplifies these benefits, making it feel even crisper and more agile than the SPEEDSTER 2. The SIROCCO 2’s handling is dynamic, precise, intuitive, and extremely resistant to spin when being flown in deep brakes, thanks to the SharkNose. On the ground, nothing launches easier – a light sail and excellent inflation characteristics make it incredibly user-friendly, even in zero wind conditions. A completely new riser system, which includes the innovative 2D TST device for improved precision in accelerated flight, multiple brake pulley positions, and extended trimmer range, have all been carried over from the SPEEDSTER 2 design. Certified DGAC, the SIROCCO 2 is available in five sizes: 22, 24, 26, 28 and 30 covering a wide range of pilot weight and power unit combinations. Four standard colour schemes are available, in addition to, of course, any custom colours you can dream up. 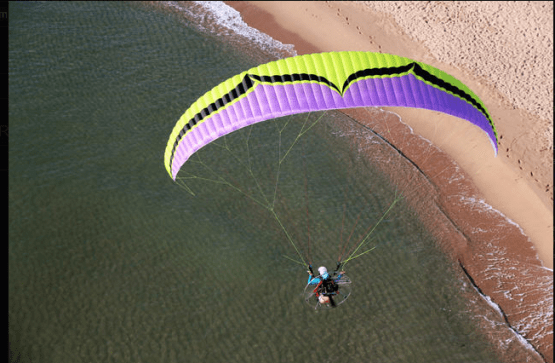 Overall, we are very excited about this next-generation lightweight PPG wing. 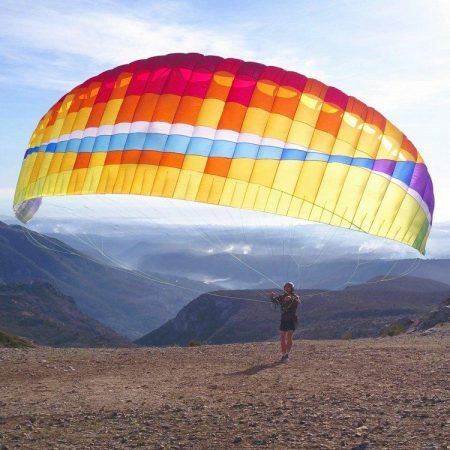 Its speed, efficiency, and ease of use, combined with the light and compact design, make this a compelling wing for pilots of intermediate skill and up. Cheers, from all the OZONE Team.